Business writing belongs in a class by itself when it comes to small businesses succeeding or failing in ways that are unexpected. Whether it is a typographical error in an email, a sloppy mistake in a business proposal or a poorly written business letter, the quality of business writing makes quick and long-lasting impressions. When addressing business writing challenges, a big step in the right direction is realizing the existence of the problem in the first place. The cost-effectiveness of the solution should not be overlooked, and this is almost always a delicate balance to achieve. "Free" help is rarely effective, and there should always be reasonable cost limitations for any business expenditure. Is there a happy medium that provides cost-effective and high-quality business writing? I like to think that I am at least one of the business solutions that should be considered in any search for cost-effective business writers. While I am far from free, I do provide some of my best writing work for far less than you might assume from the normal rates that I charge for small business consulting help. My normal hourly rate for business finance help typically ranges from $100 per hour and up depending on the specific assignment involved. When some individuals suggest that is expensive, I do not disagree and usually say something to the effect that, "I'm worth it." Any small business owner who has experienced a financial problem with bankers, suppliers and customers knows that good and effective commercial financing help is hard to find. Some might call it "priceless." By that standard, $100 per hour suddenly begins to look cost-effective, doesn't it? 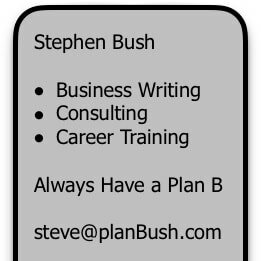 Regardless of this, some individuals and companies would prefer to have a less costly method to hire me for practical business writing help. I can offer what I consider to be the perfect solution to this particular dilemma. Despite the proven effectiveness of high-quality business writing for reaching and persuading potential customers, many companies overlook written business communication. In my experience, this observation is frequently demonstrated by how few businesses use case studies to describe what they do and how they do it to both present and prospective customers. In addition to supplying business owners and managers with an ongoing source of fresh content for an organization’s website, case studies can be used in a limited distribution fashion — for example, by distributing upon request via email. An effective case study can be as short as 500 words or as long as specific circumstances dictate. My business writing assignments that include content designed for a specialized niche audience are all potentially candidates for "white papers." This is entirely different than specialized articles that are published for general consumption by the viewing public. A white paper is designed for readers that already have some advanced background information about the subject. If you think of your business clients, partners, advertisers, affiliates and suppliers as key examples, each of these specialized and niche audiences have a totally different perspective and interest about your primary business products and services. Each of these different target groups would be flattered to receive a customized discussion of a relevant topic that is presented at an advanced level (because they already know the basics). If you are having regular monthly, quarterly or annual meetings with these marketing groups, you will dramatically improve the results of those meetings if you can provide a different white paper on each occasion. If your communication is more likely to be via email than a face-to-face meeting at a conference or in their office, then by all means send them their white paper by email. White papers are definitely a key part of a winning marketing and business development strategy for small businesses. If you leave this page with only one business writing strategy, white paper writing deserves your undivided attention. Stephen Bush is the CEO of AEX Commercial Financing Group. He is a small business consulting expert who helps small businesses throughout the United States and Canada.